2016 New Protective Order Law - What does it mean? On July 1, the new law that prohibits persons subject to protective orders from possessing firearms will take effect. We have designed a brief FAQs sheet about the new law that provides some basic information on what the law does, what it doesn’t do, and outlines conversations/issues that communities need to be talking about to come up with protocols. It also provides a link to some best practices. DCJS has also put some information up on their site. This link has information on a recent brochure that DCJS developed on the new law, a list of law enforcement agencies who are willing to accept firearms, and a link to a new grant opportunity to fund pilot sites for implementing the new law. In short, there is not a statewide directive for implementation. Local courts, law enforcement, domestic violence programs and other stakeholders have to come together to come up with a plan for their locality. The Assets for Independence Resource Center (AFI) is housed under the Administration for Children and Families under the U.S. Department of Health and Human Services. The AFI Resource Center provides information on AFI programs and Individual Development Accounts (IDAs). 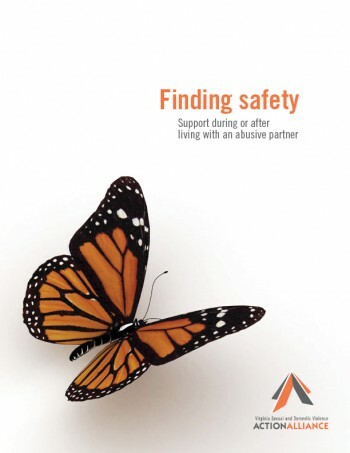 The AFI Resource Center provides a Domestic Violence Survivors Toolkit which includes information for service providers and survivors about how financial independence can be a pathway out of an abusive relationship. 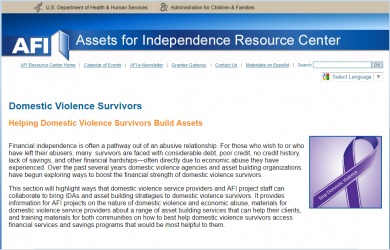 The information on the AFI Resource Center website includes asset building strategies for survivors and how AFI staff and service providers can collaborate to bring IDAs to survivors. I-CAN! Virginia is a free online tool that helps a person complete the forms necessary to ask the court for a protective order. These frequently asked questions provide answers to questions regarding how the program works. 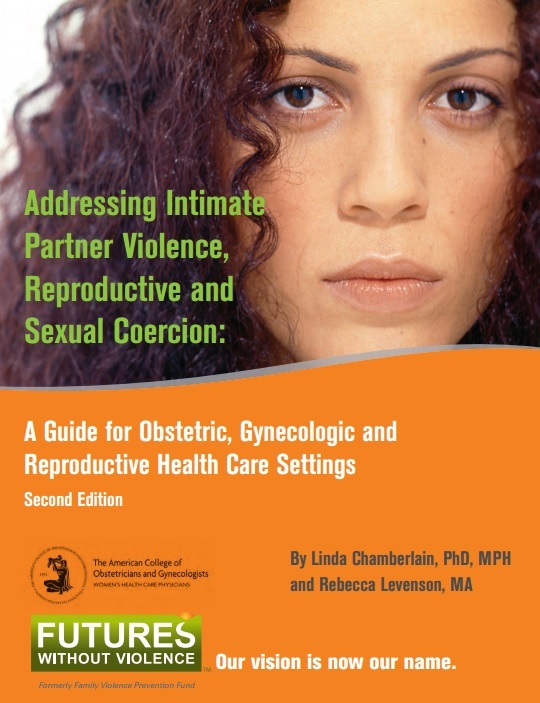 A handbook for people who are currently living with an abusive partner and/or have left an abusive partner. Topics addressed include: What is Abuse? How Does Abuse Affect You? Being Safe; Getting Help; Helping Your Children and Family Members; Allowing Time to Heal. Published by Virginia Sexual & Domestic Violence Action Alliance. Order brochures and other materials from the Action Alliance.